It has been quite some time since I decluttered due to a busy summer. However, this past week, we got rid of 42 more items. 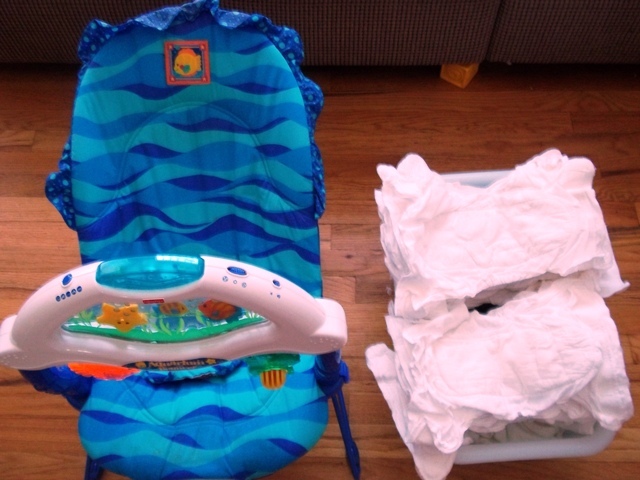 First, I got ride of 29 diapers and diaper covers and a baby bouncy seat by selling them on Craigslist. I made $55 as I documented in my weekly Saved Quarter Challenge. 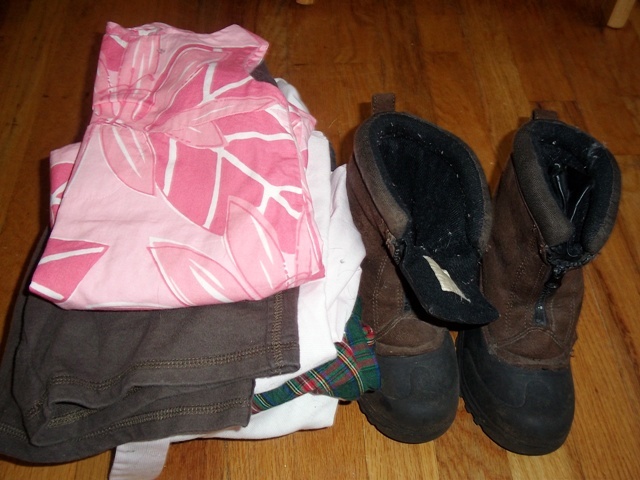 Then, I started weeding through my kids’ outgrown clothes and came up with the following 12 items to go to our garage sale pile. I am hoping we will yet be able to have a garage sale as we have a ton of stuff, but I am not sure it is going to happend due to my husband’s busy schedule. We are not at a total of 1,364 items gone from our home in 25 weeks. Yeah! Have you been making progress decluttering? If so, please tell us about it in the comments. I am a terrible de-clutterer. I tend to move things from one room to another and then the things just sit in that extra room (read: the garage). I don’t have so much stuff that I need a hoarding intervention, thankfully, but I probably should start getting rid of some things. You are an inspiration!